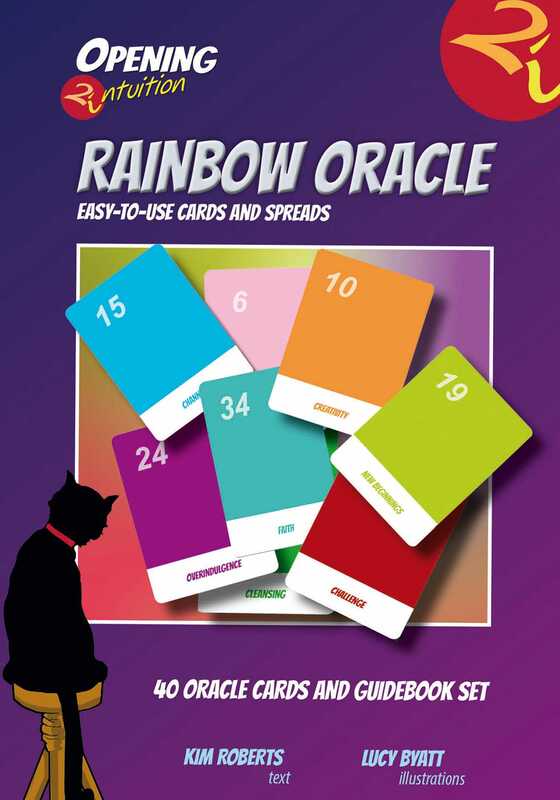 The Rainbow Oracle deck features 40 individual color cards that can be used to give yourself and others accurate intuitive readings. Each of the colors used in the card pack have unique meanings and can be used to give detailed readings into both the past, present and future. The enclosed guidebook gives you step-by-step instructions on how to conduct a safe reading. It explains each color cards meaning in detail and provides guidance and a healing affirmation to practice. Ask the Rainbow Oracle cards what you yearn to know and be carried into the world of intuitive color readings. Lucy Byatt’s expertise in the field of psychic art and mediumship spans more than 20 years. She holds a first class honors degree in Fine Art from Goldsmiths College and an MA in Sculpture. In addition to teaching psychic art, she facilitates the development of autistic children.